It looked fine. I called Carolyn and asked her opinion. And she said to ditch the pad stitching. Since I was leaning in that direction already, I decided to let it go. I was almost to the point where I needed to add shoulder pads. I had bought some from P&S Fabrics, my neighborhood sewing stuff store last week. I knew at the time of purchase that there was something off about these pads. 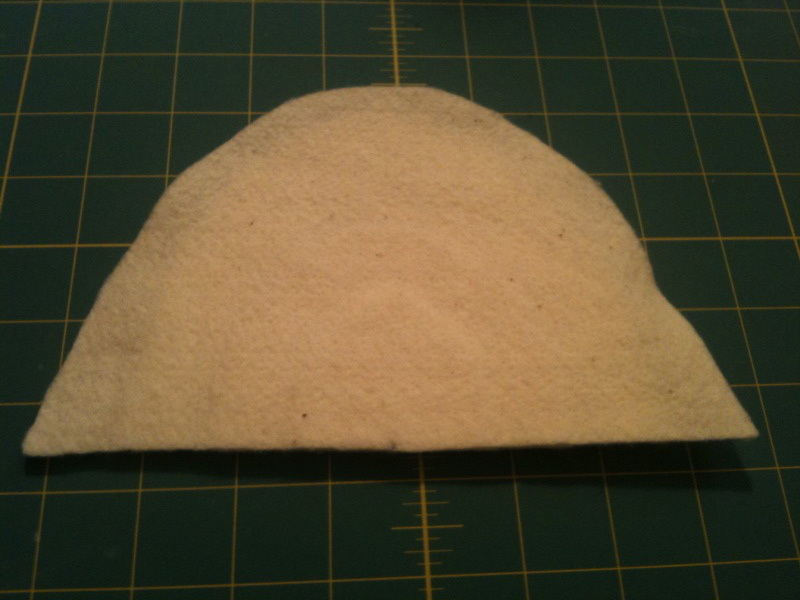 The insert was made of foam and the outside was made of some synthetic fabric. It just seemed too poofy and retained its shape too well. I have niggling feeling that this shoulder pad will not decompose for a millenia it’s so unnatural. Anyhoo, I snuck a peek at my RTW winter coat to see how big its shoulder pads were. And I found out some very interesting things. It’s shoulder pads were made of four layers of cotton fleece batting that were fused together with no outer fabric encasing them. 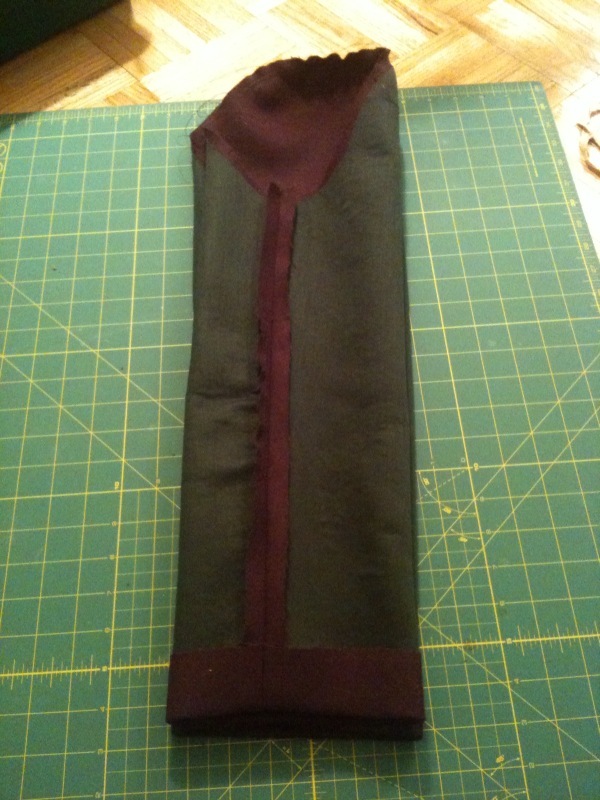 They were sewn into armscye/shoulder seam allowance and tacked to the shoulder seam, then the lining was tacked to the pad itself. Very cool. The sleeve head was sewn into the same armscye/shoulder seam allowance but on the bottom and was made of polyester fill batting. I thought to myself. I can do that and got out my measuring tape. The measurements of my winter coat’s shoulder pads were pretty much dead on for the P&S shoulder pad, even down to the thickness, but I liked the feel and malleability of the winter coat shoulder pads so much more. I happen to have cotton fleece batting in my stash from when I made my one and only quilt. I just used that and measured out all the pieces of the winter coat shoulder pads and steam a seamed them together. And presto change-o, I had me some should-a-ma-pads! Isn’t that cool?!?! I forgot to take pictures of my sleeve heads, but they’re just rectangular pieces of polyester fill batting measuring about 8 inches by 2.5 inches. I worked on my sleeves next last night. One detail that I absolutely adore about this pattern is the ease provided for the elbow at the back of the sleeve. That is sooo cool. Love it. Here’s a pic of my unattached sleeve with ease stitches already gathered for ease of insertion (see the elbow ease added to the left of the seam allowances? Despite the gathers shown there, there was no puckering at the seam). I cannot wait to work on my coat again tonight. Pretty neat! I also like the way you added a little extra ease at the elbow. I love your shoulder pads – much nicer than foam ones. I’m too lazy to make my own but there is a place in London that sells the batting ones ready made in various sizes – though I usually have to trim them down a bit. I like the elbow ease – I’ve never come across that on a pattern before. That’s definitely the way to go with shoulder pads-making your own. Unless we go back to the horrible excesses of the 80s in that area, you’ll never need more bulk that you can construct yourself. Thanks Meredith, I would have added another layer onto which I would then pad stitch if I had decided to go that route. 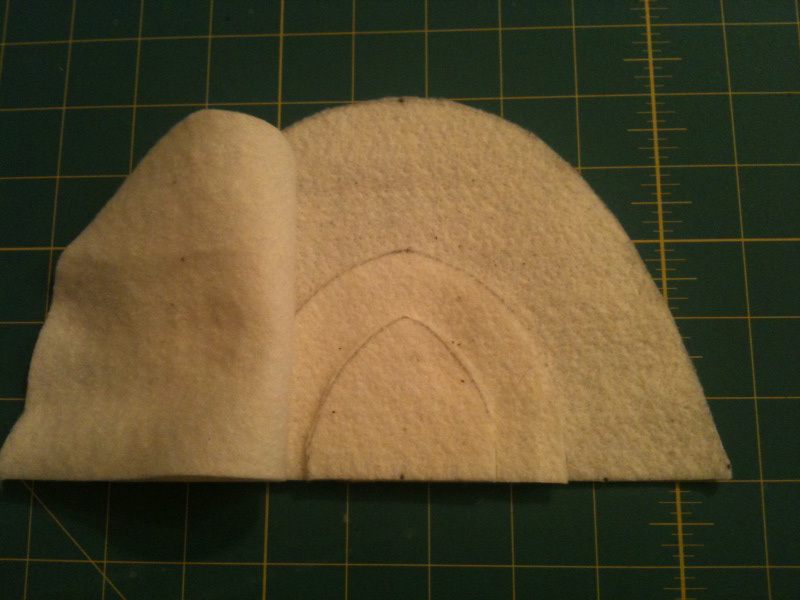 I would not have pad stitched to the fusible interfacing. Impressive work on the shoulder pads, especially figuring it out yourself. Hand made shoulder pads are sooo much better. You can buy the cotton batting shoulder pads at Steinlauf and Stoller, if you want, but why bother? Your shoulder pads look great! 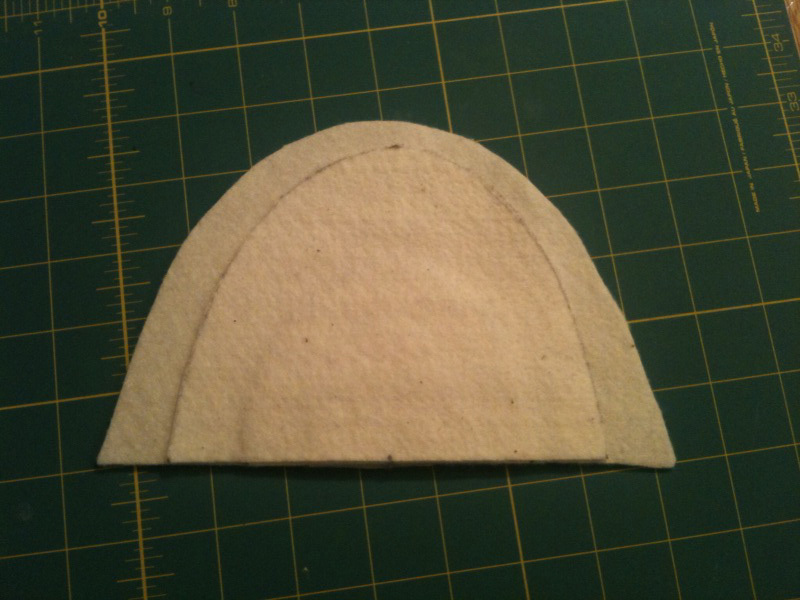 It is also a good idea to shape the armhole edge of your shoulder pad as well – lay your front and back pattern pieces together at the shoulder seam and trim your shoulder pad to that curve. I avoid the “h” word at all costs (hand sewing). Well done with your shoulder pads! Boy, you are moving right along and I am enjoying the adventure of your progress. Well done on those shoulder pads. I, too, have seen the style you made for sale but they are harder to find and easier to blend into the shape of your coat’s shoulder. 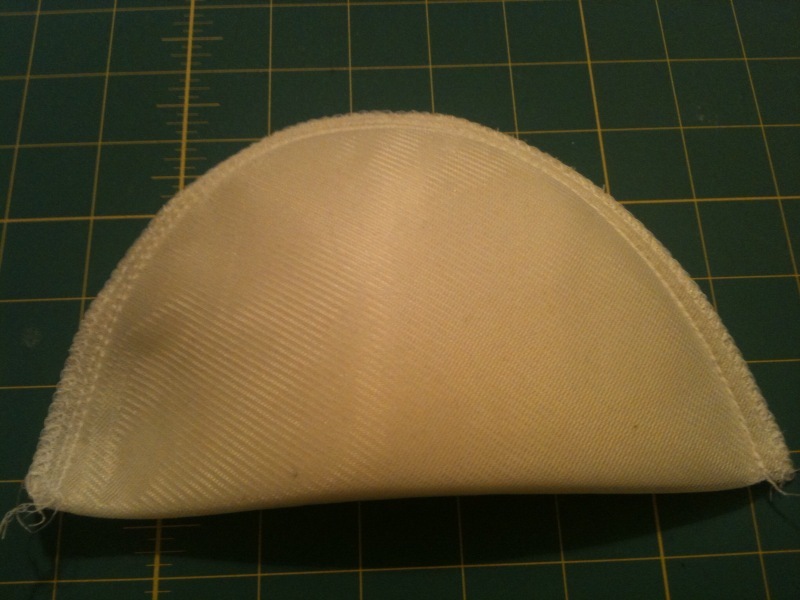 About the padstitching… I haven’t done it myselfand reading about it everywhere, I started to wonder. However when I was visiting my ‘sewing guru’ the other day, she said it was nonsense to padstitch modern fabrics (horsehair canvas and padstitching belong with densely woven wools) and pulled out a beautifull, very well tailored with fusibles, vintage jacket to proove her point.